Running an online business is TOUGH! Those of us used to working online know all about these problems. Here at Marketers College we solve knowledge issues by enabling YOU to control YOUR information flow. Learn what you NEED and avoid the rest. Check out the video to the left and the rest of the page. We Get You To Hit the Ground Running – Even if You Have ZERO Online Business Experience! Congratulations on taking the first step toward your educational and financial goals! Reading this page is the best thing you could be doing right now! Running an online business is one of the fastest and most satisfying ways to make a real living doing what you love. Over the years I have been fortunate enough to earn a good living from my online business activities but I am proudest of all that I have been able to help other people make their online businesses a success. The privilege of helping other people is the number one reason I set up Marketer’s College! My name is Andrew Wilson, I have been working in internet marketing and on line business training for many years – you can find me on Google! If you’ve ever searched for “internet marketing guides” software or books, chances are, you got thousands of different results from people you’ve never heard of, along with websites that look like they were last updated in 1995. On the internet, everyone thinks they’re an expert. They learn one marketing strategy or idea, and suddenly it’s the best thing since sliced bread. Now I don’t know about you, but I’d rather pick and choose the kinds of courses that were meaningful to me in growing my online business – not blindly following what some self-proclaimed “guru” has to say. That’s why I’ve devoted my life to discovering the real experts. People who not only “walked the walk”, but could teach others how to use their methods to get the exact same results. 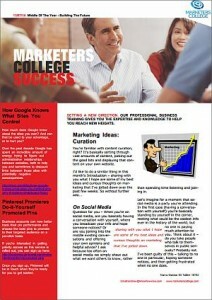 At Marketers College our goal is to enable you to meet your information and training needs in one place. Join our community, work through our training, be inspired by ideas from our newsletters. Create your dream job by making it for yourself – surrounded by a team of like minded people! What Does Marketers College Membership Give You? Real, Actionable Training & Support! I took people who I trusted and added their training to Marketer’s College, so that everyone could benefit from their expertise and hands-on experience. We do not share tricks, black hat SEO, or short term gimmicks. All too often ‘trainers’ and ‘experts’ will find some kind of loophole or back door. They quickly seek to sell that knowledge to people who need help with their businesses. Along come the search engines and slap the pages into a black hole. We understand that your business is a long term operation and you don’t have time to waste on damage control – you want safe, long term solutions that keep your business safe – that’s what we teach! How Does Marketer’s College Work? Learn At Your Own Pace – There are no set course schedules. Simply watch, read, answer and learn as you go. That means growing your business on your schedule, not someone else’s! Pick and Choose the Courses You Want – No pre-requisites! You pick and choose what you want to learn. True Experts Make Learning Accessible and Interesting – Our professional training has been hand-selected and completely vetted to ensure the knowledge and experience in each field is top-notch. The training modules offered are enthusiastic, accessible and engaging on every level. Different Membership Tiers to Keep Learning Affordable! – No matter what your budget, Marketers College helps keep you on track without breaking the bank. Our membership tiers mean nothing is held back – ever, and you can easily switch from tier to tier from our friendly account page. New Training Modules Added Continually! – We know how important it is to stay on the cutting edge of technology, without feeling overwhelmed. That’s why we add new training modules and courses on a regular basis. New Google algorithm just released? Excellent software product developed to help grow your business? Hear about it from us, first. What Does Marketers College Offer My Business? Very often trainers are happy to teach the HOW of online business and technical topics but rarely do they teach the WHAT, WHY, WHEN and WHO that underpin all the HOW. For that reason we introduced a multi week, multi -module bootcamp that teaches, primarily, the conceptual basis of online business, broken down into sensible chunks that each build upon each other. When you have completed the course which consists of almost 1000 full pages of content, delivered in digestible weekly installments to avoid information overload, you’ll have a good understanding of the elements that go into a successful online business, how they work, how they fit together and how to do a good job of implementing each of these business functions within your own business. You can discuss the modules with other members and Marketers College staff in the discussion forums and take on board the ‘How-To’ training materials at your own pace. Knowledge is power and understanding the concepts of copy writing, setting up and running Joint Ventures, product design, brand positioning, affiliate systems, niche creation, email marketing and much more will stand you in much better stead because you will know more than almost anyone else with whom you might be competing! Knowing WHY we do a thing is at least as important as knowing HOW to do it – especially when you are the manager or owner of the business. 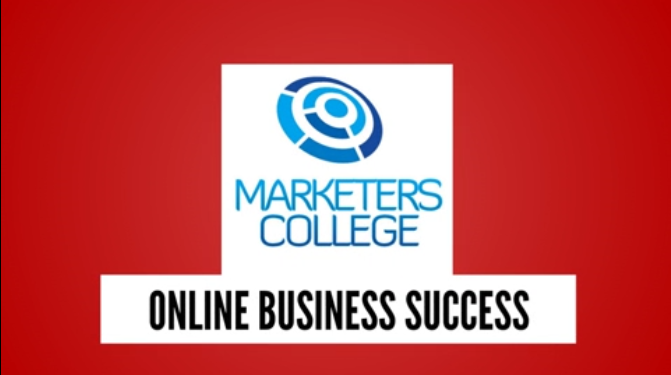 At the heart of Marketers College are the thousands of training videos giving over the shoulder ‘How To’s’ of the tasks that online business people need to be familiar with. Where possible we add in ‘goodies’ such as transcripts, PowerPoint slides, audio files and other helpful materials. Most, but not yet all, of our videos work perfectly on most devices such as smartphones and tablets as well as laptops and desktop PCs. One of the really great benefits of video training courses is that one can be running them at the same time as doing the task. For this purpose we recommend using a second monitor – perhaps even your tablet – as you follow along with the training tasks. Some of our clients like to use the videos to show their new staff, or outsource contractors, how to do a job. I have been doing this for years and find using video in this way saves a lot of time when getting staff, new to a task, up to speed. In addition to our core video training we have a huge amount of training materials in the form of eBooks, articles,reports, white papers, spreadsheets etc. Some topics are better covered in written form and some people simply prefer to read rather then watch. The great thing is that on MarketersCollege.com often we have written and video versions of training topics so you can take your choice. It is our intention to offer training content that provides slightly different perspectives on the same topic. Our library of written content is growing all the time. As we finish preparing new eBooks, reports or other documents we make them available to members. One thing that we try to do for members is to provide training in areas where it is missing. If you have a specific training need then please just let us know and we’ll do what we can to add relevant content to our online library. As all our written material is downloadable and is usually formatted to be printed we encourage members to print out books, reports for printing and use offline. In addition to all the other training and support that we offer we have now added two new services to all members. The first is a twice monthly newsletter. This magazine style offer is designed to be printed out and read at leisure. Each issue will contain some 25-30 pages of current, relevant information, ideas, editorials and news. Our goal is to very efficiently keep you up to date on important and interesting issues in the online business world without you needing to spend a lot of valuable time doing your own research into the ‘what’s new‘ of Internet business. Once a month we will be publishing a ‘Business in a Box’ feature. 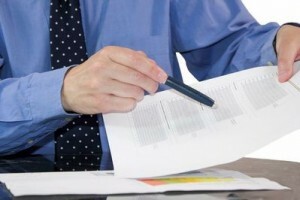 This will be a detailed description of a valid business model ready to be implemented in your own business. The Business in a Box will be of benefit to those looking for a fresh business idea but also will be of interest to those already running an online business because in many cases these ideas are a great add-on to existing businesses. As one reviewer noted ‘Just one tip a month makes the whole membership valuable!‘ – We couldn’t agree more! Working online can be lonely. Worse yet, even when we are working with colleagues, in small businesses we probably do not have anyone to talk to about many aspects of what we do. In my business I am the only guy to talk to about desktop publishing, WordPress, organic SEO or the finer points of setting up an e-commerce store. That’s why we have implemented a forum/discussion board on MarketersCollege.com. I wanted to be able to break down a little of the loneliness and to offer a way for us to learn new things from a different perspective. When I started out mentoring newbies to online business back in 2006 I quickly learned that one of the very best ways to learn something is to share knowledge with other people. And the best way to do that, online, is through a community forum. I expect that we will have busy, non-confrontational, discussions about many aspects of our shared work and plan to set up Mastermind Groups where small groups of people can decide to join together on shared projects whether they be business ventures or shared learning. Success comes by, with and through enabling the success of others. We can all make that work! My goal with Marketers College is that we do more than just offer How-To training videos. That’s why we have a multi-week bootcamp teaching the underlying concepts of online business. I think that we learn better when we share ideas and get fresh perspectives and that is why we offer ongoing community elements within the college. The newsletters provide high quality relevant information in a format that can be easily shared among colleagues and our forums give an opportunity to share and grow in a non-competitive environment. For more details about each of these elements please click the tabs on the left of this text. The world and his wife are out there trying to make money with internet marketing and affiliate sales. Few people actually make any money out of it. The reason for that is there is such a huge learning curve before you really “get it”. Effective training is essential, and there are many snake oil salesmen out there. I was as green as grass when I first tried to monetise my websites. With Andrew’s advice they make a healthy profit. 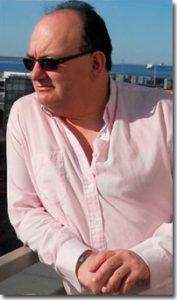 Andrew’s ongoing advice was instrumental in monetising the sites effectively, in the background SEO and other work generating the necessary traffic. Now our discussion forums are the busiest in their niche and sit on a private server – that doesn’t happen by accident. I have been a client of Andrew’s for a very long time. I am now a member of his online business training site and am very happy with the training materials on offer. Pretty much any of the skills I need in my online business are covered. I learned some very useful things about lead generation which have paid off in my business of providing leads to local tradespeople. 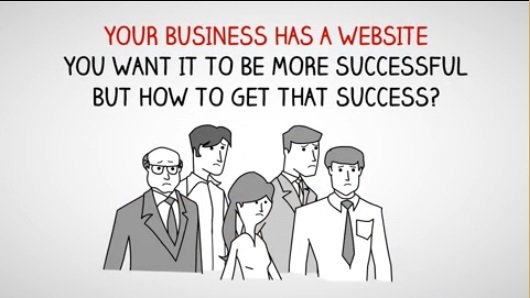 I have taken website marketing and SEO advice from Andrew Wilson for a number of years. We have almost thirty websites which include several discussion forums, a number of blogs and a large online shop. Andrew has been instrumental in teaching me how to build genuine content, how to get Google to notice and rank our sites well, and has even offered sound advice when we wanted to upscale our e-shop by explaining the relative pros and cons of various content management systems in order to take the business to the next level. His grasp of how Google “thinks” is a skill seldom found in anyone that is willing to share it. What Is On Offer Each Month? Each month, in addition to the courses already in the system, we will be adding at least two full training packages, each containing multiple videos with a substantial running time. Each training course contains multiple videos with a substantial running time. Where possible each of these packages will be accompanied by support materials such as transcripts, audio files, work books etc. In addition we will also add shorter training, perhaps single videos that show how to carry out a specific task. These will be added on an ad-hoc basis. All newly added training will be suitable for use on almost all portable devices as well as on your normal desktop or laptop machines. New written training materials are added almost daily directly to the site. It is worthwhile subscribing to our RSS feed to keep up! In addition larger scale training is added as it is prepared. Our library of written training is expanded on an ongoing basis. As soon as a topic has been prepared it is added to the system. We use PDFs, spreadsheets, ebooks and other methods, depending upon suitability. Of course, all content can be downloaded and used offline. Often the written materials cover similar ground to the video training packages because some people prefer to learn by reading rather than watching. Online business is dynamic, there’s always more to learn and see. Twice a month we offer a magazine with insider information relevant to your business. While we don’t DO gimmicks, as with any industry, there are always new tools, services and ideas. In our semi-monthly newsletters we filter the rubbish and point out the gems that are worth reading about. In addition you will find more general articles aimed at people running online businesses. The magazines are formatted ready for printing and sharing with colleagues and we encourage you do just that- after all, if your colleagues understand your work better that makes your life easier too – right? Collaboration beats competition. When we support each other we change the world. Our Marketers College community forums are designed to give you a place to share with others and learn from them. Our forums are designed to enable your to share and see new perspectives in a non-confrontational way. If you want to set up a small group to collaborate on a project, this is the place to start. If you have an idea to make Marketers College better, share it here! Our community forums are meant to make the task of working alone in front of a screen a little less lonely. Now that you are ready to turn your small business into something big – come and join us! Your Success Matters to Us – Enroll Today! 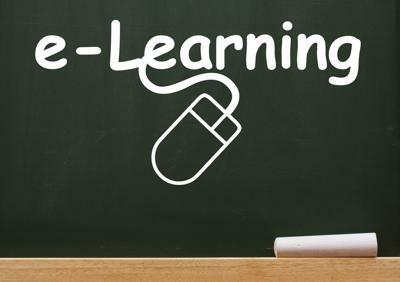 Courses are always ongoing, newsletters are updating our clients, the forums are busy and new training is being added all the time and the sooner you enroll, the sooner you can enjoy the benefits of learning the latest marketing skills at a comfortable, convenient pace. Stop dealing with piecemeal courses and software and start getting the real, hands-on learning experience your mind craves. If for any reason you have any questions or concerns at all – get in touch! 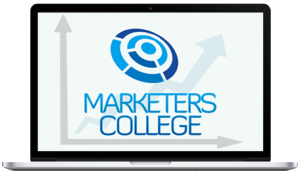 We want to make Marketer’s College the best educational investment you can make in growing your business – period. Free online training, articles and forum access. Receive a monthly print ready magazine and update newsletters. Our Access ALL Areas membership. Where the work gets done! Learn how to build a real online business step by step. A pre-planned business module described and resourced ready to implement in your business. Best Value Offer! One annual payment and receive access to everything that our GOLD members receive but for less than half the price! Yes, you can upgrade and, of course, we welcome it! The easiest way is to just cancel your existing subscription in PayPal and start a new subscription at the level you choose. If you want to retain the same username and password though – please contact us at supportATmarketerscollege.com before doing the upgrade and we can ensure that your credentials will be maintained. A toughie! I have been working online since around 2001 and full time since 2005. That’s a long time in Internet years. In addition I have been running my own businesses for around 30 years so I have built a degree of knowledge and skill. All the training we offer is either prepared by me or audited by me to ensure that what is being taught meets my standards and understanding of best practice. We do not provide training in gimmicks, loopholes or other short term tricks because I understand success is a long term process and that my success depends upon yours! In respect of payments, we do not have access to your credit card info and you control your own subscriptions through PayPal. You are in control at all times. All members can cancel their membership at any time by simply ending the subscription within their PayPal account, no further payments will be taken from your account. If you need to cancel shortly after a payment has been made please contact our customer service (supportATmarketerscollege.com). If the issue is not one we can rectify we will refund you on a pro-rata basis. All members are licensed to to use the content on the site for their business education and entertainment. All written materials can be downloaded and printed out but you do not have a licence to redistribute for free, claim ownership, copyright or re-resell any material on this site except in the case that permission is explicitly granted with the content or by separate arrangement with Marketers College. Video content is designed for streaming from MarketersCollege.com but only those with appropriate memberships are licensed to download video or audio content. For those members, there may very occasionally be a licence restriction upon providing downloads of audio or video in which case such downloads will not be available from your membership pages. We apologise in advance if this happens; we try very hard to avoid this restriction for our members. 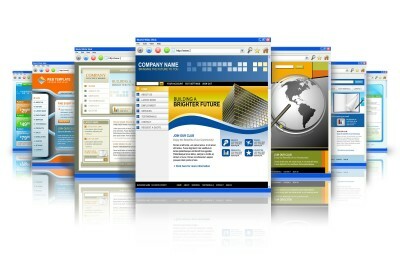 In addition we do monitor usage of our content. If the volume of downloading is, in our judgement excessive either in terms of bandwidth or IP addresses we reserve the right to limit access. We do have arrangements for businesses and other organisations who need extended access to our training materials, please contact us at [email protected] for details. EXAMPLES IN THESE MATERIALS ARE NOT TO BE INTERPRETED AS A PROMISE OR GUARANTEE OF EARNINGS. EARNING POTENTIAL IS ENTIRELY DEPENDENT ON THE PERSON USING OUR PRODUCT, IDEAS AND TECHNIQUES. WE DO NOT PURPORT THIS AS A “GET RICH SCHEME.” ANY CLAIMS MADE OF ACTUAL EARNINGS OR EXAMPLES OF ACTUAL RESULTS CAN BE VERIFIED UPON REQUEST. Get Online Business Training for FREE! a showcase for the best of Marketers College training and community. Sign up to get your free monthly "Marketers College Success" magazine with discounts for new full members and free training. Latest edition is available now!